It seems like we were just in Boston, but here we are back again. The last month since Emma’s unexpected shunt surgery has flown by. Emma has slowly been healing from surgery. We have had a few bumps in the rode like the stitches in the back of her head popping, but for the most part she is doing better. 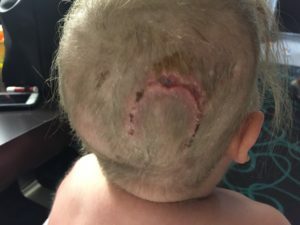 Her incision on the back of her head has been slowly healing thanks to help from the wound care nurses at Children’s in Omaha. Emma has been happy to be back at school with her friends again. She had her last dose of steroids last week, and her skin is continuing to heal. source link Emma’s skin was too weak from steroids and skin broke apart 3 weeks after surgery. We flew into Boston late last night for follow-up scans and appointments from surgery last month. We will see dermatology today, and then have scans early tomorrow morning followed by oncology and neurosurgery appointments. We are hoping and praying that her ventricles have remained stable since surgery, and that the tumor has also remained stable. Neurosurgery will be making sure she has healed from surgery and that the surgery fixed the enlarged ventricle problems. 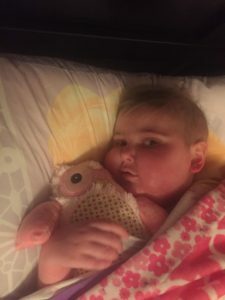 Oncology will be looking at next steps as far as treatment and what they feel she can tolerate based on her skin from the drug reaction in August. Needless to say we are quite nervous about what these scans will show since she has been off treatment for over two months now and because we have been dealing with so many complications. If you have time we would appreciate a few extra prayers tomorrow! Many of you have been asking about t-shirts because our old stock of shirts had become pretty depleted. 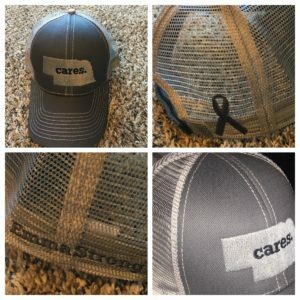 We have ordered a new design of shirts as well as caps. Please head hear to see our T-Shirts or Hats to see pictures of the designs and order if you would like. This design we felt was made to thank all of you who have supported us. 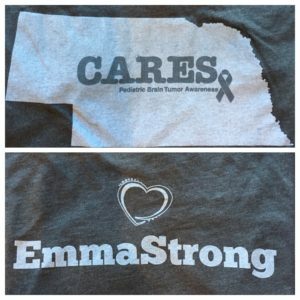 The design on the shirt is a state of Nebraska with the words “cares” on it because we feel that our many friends and family at home (not just in Nebraska) have really supported us and shown what it means to care and raise awareness for pediatric brain tumors. 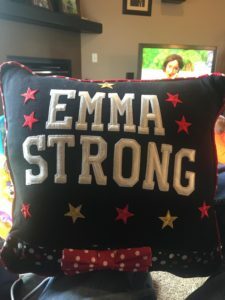 http://toolsforwriters.com/?x=viagra-drug-name Emma’s new t-shirts available through any EmmaStrong Board Member or website. http://publicsafetymediatraining.com/?x=where-to-buy-viagra-professional-brand We have new hats available as well. After the last few months of chaos in our lives, I would like to just say that we have been once again humbled and amazed by the outpouring of kindness and support we have received. 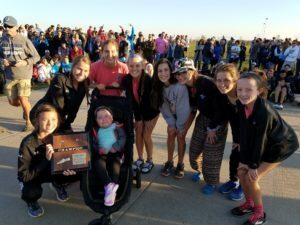 Our EmmaStrong family has continued to support us and lift us up during difficult times and we are forever thankful to you all! There really aren’t words to explain how thankful we are for all of you! We will update here tomorrow once we have some news to share. Thank you again for all of the prayers and support! follow site Emma and her Owl that smells like a flower getting ready for bed. 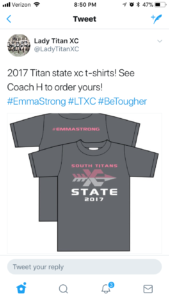 follow Papillion South Titan State Cross Country Shirts.